Some of us sing in the car. Some sing in the shower. Some serenade their little ones to sleep while others emulate Beyoncé by belting out with a hairbrush in front of the mirror. In the safety of our homes, by ourselves, we feel free to let loose and croon to our heart’s content. So how is it that all our bravado instantly turns to bashfulness when it comes to performing in front of others? What prevents us from sharing our passion for music in public? And, sadly, why do some people never sing at all? Why are people afraid to sing?! From time to time, you will find individuals who have experienced rejection and criticism for singing when they were young. Years later those harsh memories still sound an inner alarm and silence their voices. But often it’s the power of our own imagination that shuts us down. 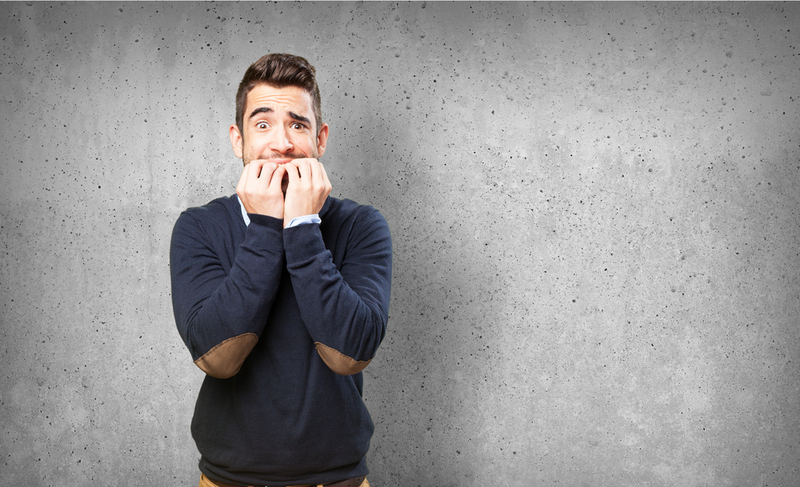 Studies have shown one of the greatest fears people possess is public speaking. Since public speaking is a type of performance, many of the same reasons people are afraid to speak in front of an audience also prevent them from singing in front of an audience. We may desire to step in front of that microphone, but to receive that much attention can place us in a vulnerable position. Our mind perceives such public exposure to be excessively risky and races to imagine the worst possible way we could fail. What if I forget the words? What if they boo me? What if they laugh at me? We automatically assume a negative outcome without knowing what will happen for certain. If our self-doubt and negative thoughts betray us before we’ve even given ourselves a chance to try, then how do we overcome our fear? Though it is a process, it’s often less about fixing it but rather finding the right tricks and tools to work through it. Seek out examples of others who have faced it. Guess who else struggles with performance anxiety? Adele once confessed, “I’m scared of audiences.” Lorde revealed that she “can be completely crushed by nerves.” Some of the most famous and gifted voices in music, like Ozzy Osborne and Barbra Streisand, have grappled with stage fright. Understanding how common it is and uncovering how others handle their fears can help immensely in conquering our own. It’s nice to know we’re not alone. Start with a supportive community. Confidence is built in small steps. We need to prove to our mighty mind that it’s safe to sing and become comfortable at one level before moving on to another. A great way to begin the journey is by practicing in front of people we trust and know will cheer us on. 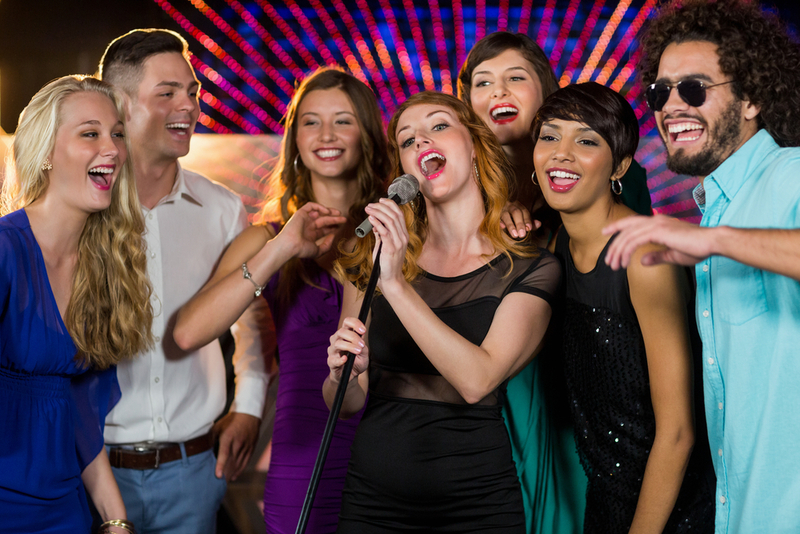 Plan a low-key karaoke night with friends; it’s a lot less pressure when everyone gets a turn. Find an empathetic vocal coach; it’s a great way to get used to being seen and heard in a private, nurturing environment. And of course, you are always welcome to join the Wurrly family! Because Wurrly celebrates individuality, it’s the perfect place to practice honing those vocal chops and sowing those seeds of confidence. Singing is all about expression. Since fear demands attention, it can distract you from self-expression. Song choice is a sneaky way to redirect your focus. Select a song for its meaning, not because it’s popular. When we choose songs that move us, our focus shifts to the message being delivered instead of worrying about hitting all the right notes. By seeking to inspire rather than impress, we make our performance about everyone instead of solely about ourselves. Fear influences our decision to play it safe and stick to singing alone. The reward for conquering our fear is the opportunity to find out how brightly we can shine. By sharing our voice, we share a beautiful piece of our heart and spirit. Music is an extraordinary way to feel and spread joy and connect with others. So, consider heeding the advice in “Sing” by The Carpenters and sing out loud, sing out strong. The power to do so lies entirely in our hands — and our heads. Danielle is an experienced freelance writer and content creator with published work across several mediums. As a skilled professional with 15+ years working alongside business owners and high-level executives in a variety of roles, she has also composed copy for a non-profit and a public relations company.